Today's post is a Mom post because I just finished the baby's bedroom, and I am dying of cuteness overload. Since we have only had boys before, decorating a baby girl room was very differnet in some ways, and not so different in others. I didn't want to completely overload on bubblegum pink everything, so we went with a nice coral/turquoise/white color scheme, which I love. Quin is growing fast! She is nearly 3 months old and is the happiest baby ever. She sleeps all night, eats well, and is generally an "easy" baby. She is also the most adorable baby like, ever. I mean, look at that face! Those cheeks! That smile! Those little toes! 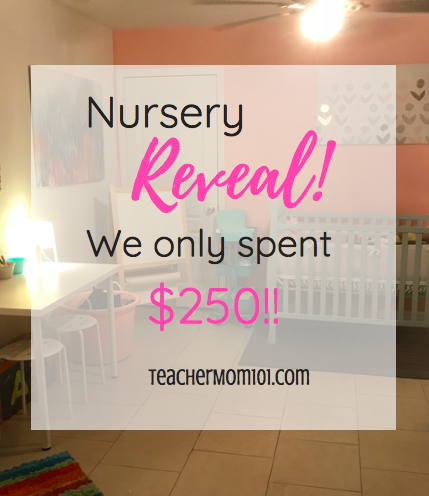 Such an adorable baby deserves to have an equally adorable bedroom, so we gathered things from all over and got to work! I wanted to paint an accent wall because this room has no windows (technically it's a "den") and it needed to be brightened up. I did not want to paint the whole room a solid color because that's too much! This color is a great coral pink called "Coral Sunrise." It's Color Place from Wal-Mart, which was only $14.95 for he gallon. It was perfect since we were only covering one wall. The painter's tape, on the other hand, was awful. It would't stick to the wall, and then afterwards, I couldn't get it OFF of the wall! One of my favorite things about this room is that we spent very little money. I shopped lots of sales over the last few months and saved everything in the garage. Putting it all together was so fun. It came together exactly how I imagined! Crib - I bought on an online yardsale for $30 and repainted with homemade chalk paint that cost me about $15 to make. Easle - this was an Ikea deal of the week that I scored for $19. The roll of paper was $4. Turquose cart - this was from Ikea also and was on sale for $14 when I bought it. Rocker - I bought this for $10 at a local thrift store. Desk - this was another Ikea find. The top was $8 and the legs were $4 each for a total of $24. Stools - these are also Ikea finds for $4.95 each. star lamp - from Ikea Christmas, I had this already from Christmas! Wall Art - all from Hobby Lobby on clearance. The small ones were $5 and $6 and the big ones were $12 and $14. The wardrobe in the corner was already there, but we did buy it at Ikea a few years ago for $150. 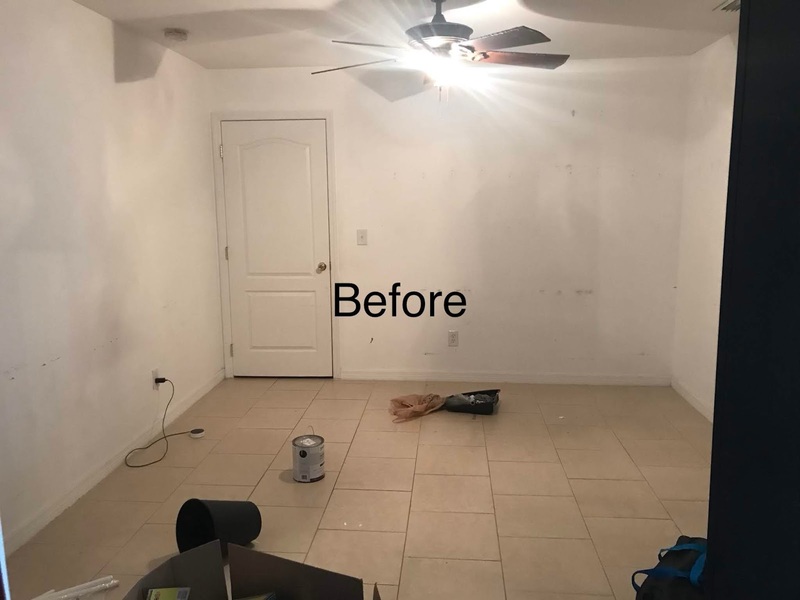 If you don't include the wardrobe, which we already had, we spent about $250 total, which isn't bad considering how great the room looks! And I bought all of this over a 6/7 month period. Here are some more photos of the room! Looks amazing, and I love how you used so many second hand and discount things. I'm due with my second in October (gender is a surprise!) and am trying to put together a big boy room for my 3 year old son. Thanks for sharing where you scored such great deals!